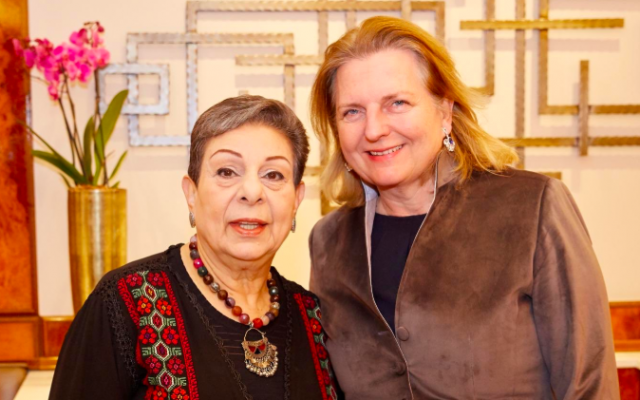 The Austrian Jewish community on Wednesday criticized the country’s foreign minister for inviting prominent Palestinian official Hanan Ashrawi to Vienna’s prestigious New Year’s concert. 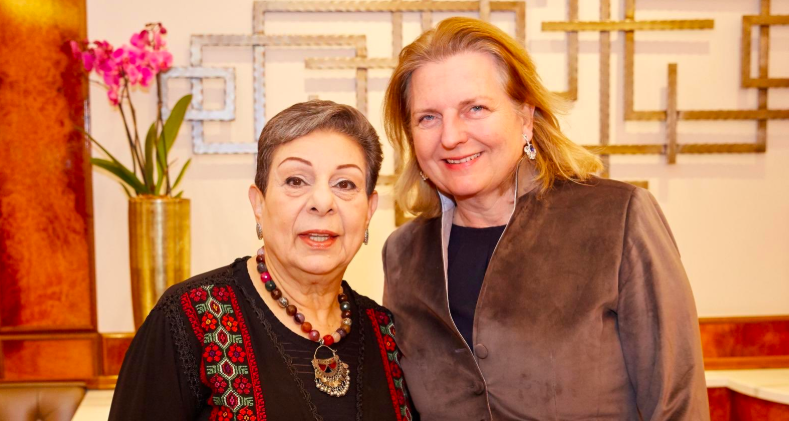 On January 1, Karin Kneissl said it was her “sincere pleasure to welcome the Palestinians’ voice of reason” and her husband, Emile Ashrawi, to the concert, which is annually performed by the Vienna Philharmonic. This year’s concert was broadcast to 40 million viewers in 90 countries across the globe, according to the organizers. During her stay in the Austrian capital, Ashrawi, a Christian and a member of the Executive Committee of the Palestine Liberation Organization, gave an interview in which she called Israel a “rogue state” that “enslaves” Palestinians. She also criticized the Austrian government for its pro-Israel stance. “Why does one have to give such a platform to a hater of Israel? Hanan Ashrawi used her invitation to Vienna to once again demonize Israel,” said Oskar Deutsch, who has headed Austria’s Jewish community since 2012. “Both Israelis and Palestinians suffer from this Palestinian leadership. What Mrs. Ashrawi calls a pro-Israel position is certainly more pro-Palestinian than the terror-promoting policy of Fatah and Hamas,” Deutsch wrote on Facebook. “Music is truly a global language & a genuinely healing experience. Austria & Palestine, like us, must continue to nurture their friendship,” she wrote on Twitter following the concert. In her interview with an Austrian radio station, Ashrawi said that she believes the Austrian people still support the Palestinian cause, citing former chancellor Bruno Kreisky, who was born Jewish but was criticized by Israel and Austria’s Jewish community due to his close ties with the Arab world, including the PLO. Austrians “understand that Israel is an occupying force and Palestine is occupied and enslaved,” Ashrawi said. “One thing I am concerned about is Austria’s voting record at the United Nations. I hope that Austria won’t vote with Israel there. For us, Israel is in many respects a rogue state. It continues to violate international humanitarian law. Whoever votes for Israel votes for violations of global humanitarian right,” she said. Chancellor Sebastian Kurz and his foreign minister have repeatedly pledged to support Israel in international forums, including in the European Union. “I have the impression that Israel often gets measured by a particularly tall measuring stick – and I believe that the relationship between Israel and Europe could need an injection of some more realism,” Kneissl told The Times of Israel in November. Such a position equates criticism of Israel with anti-Semitism, she lamented, and is akin to political “blackmail” and thus unacceptable. 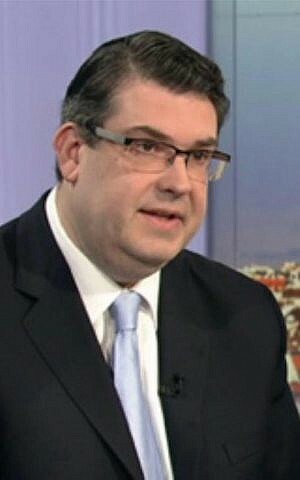 Kneissl, who lived in Israel for two years, is affiliated with the far-right Freedom Party, which Austria’s Jewish community and the State of Israel boycott due to its Nazi-past and its current xenophobic policies. Jerusalem was reportedly mulling contacts with Kneissl, given that she is not formally a member of the party, but officials have so far denied any such step. But she argues that the quote was taken out of context. “What I pointed out in my book is the historical fact that Theodor Herzl was certainly inspired by the nationalist aspirations that swept through many European countries during the 19th century. These movements were children of their time and thus resembled each other,” Kneissl said in January.